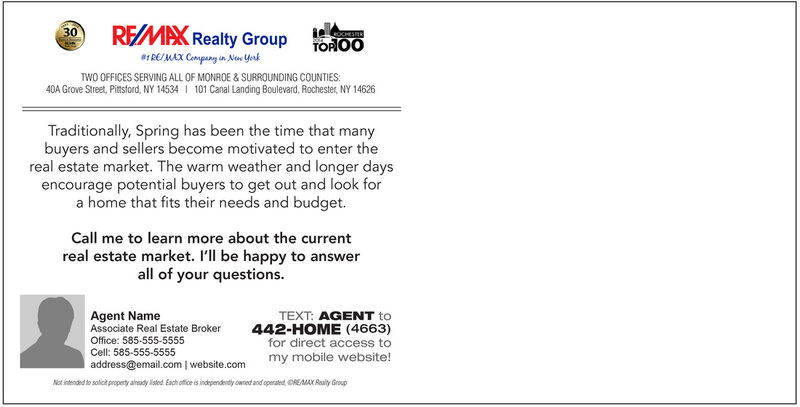 Scroll down to view and order other postcard options! 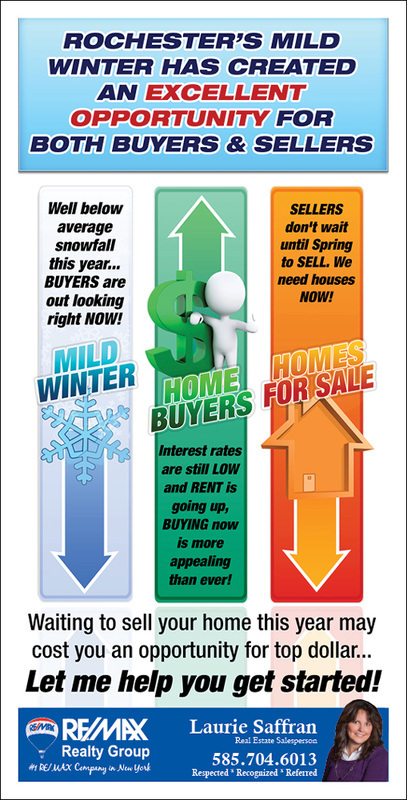 Rochester's mild winter has created a unique situation this year in real estate as interest rates are still low and buyers are out looking right now! 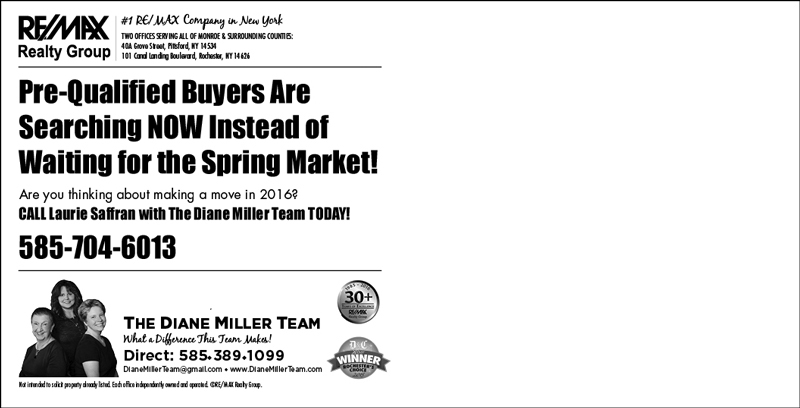 Let your clients know they have a great opportunity to get top dollar by listing now rather than waiting for Spring! 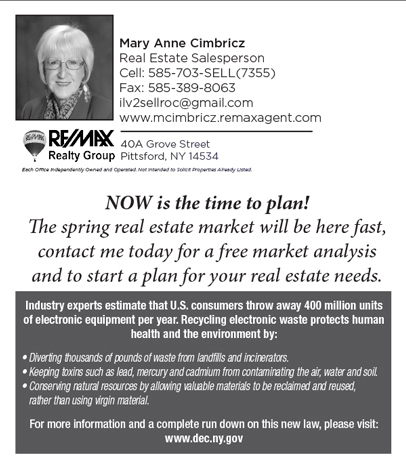 Inventory is low and homes are going fast! This postcard is .20¢ ea. 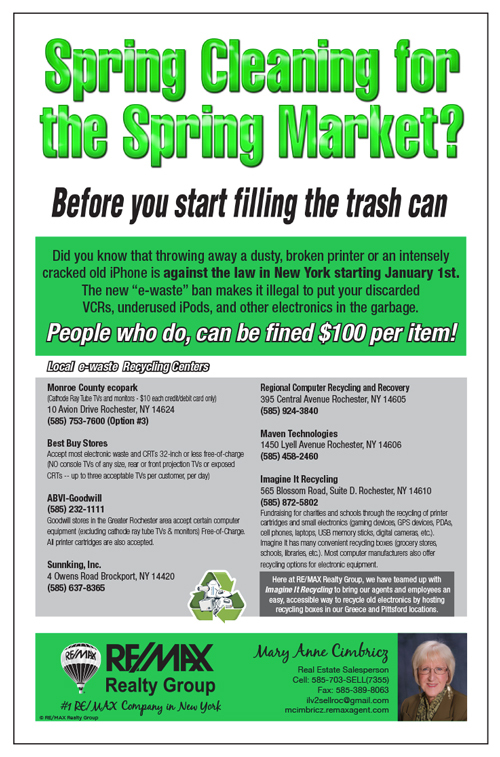 not including postage. 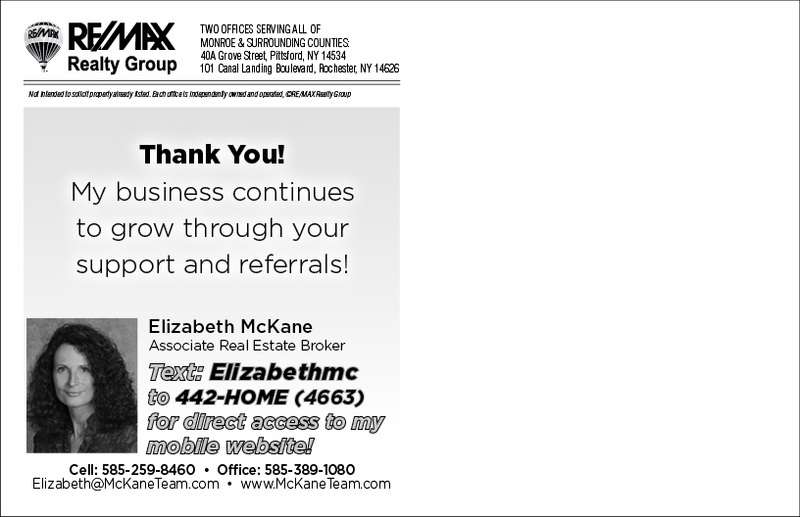 RE/MAX Realty Group continues its 20+ year record of being the #1 RE/MAX Company in NY. 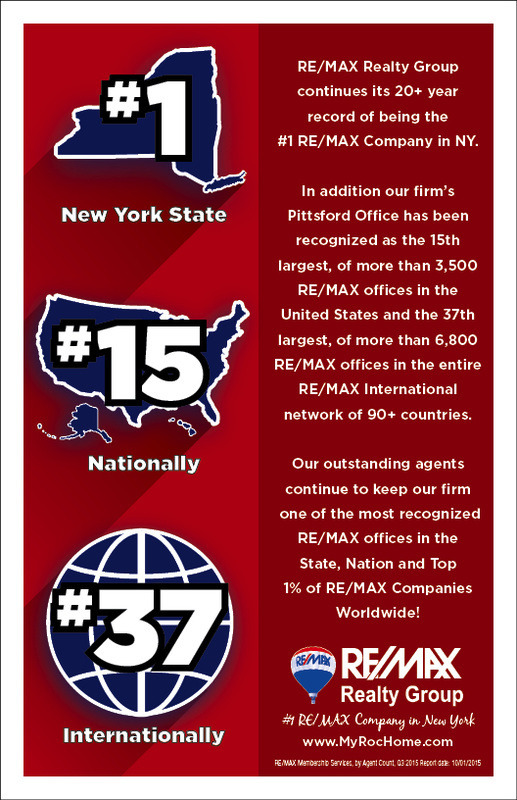 In addition our firm’s Pittsford Office has been recognized as the 15th largest, of more than 3,500 RE/MAX offices in the United States and the 37th largest, of more than 6,800 RE/MAX offices in the entire RE/MAX International network of 90+ countries. 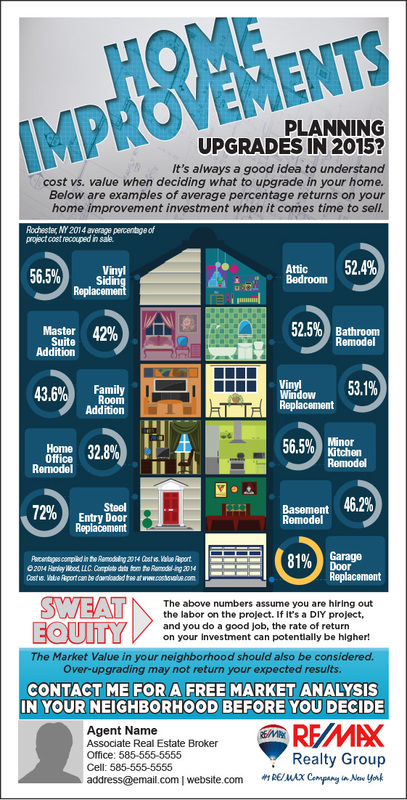 This is an outstanding accomplishment! 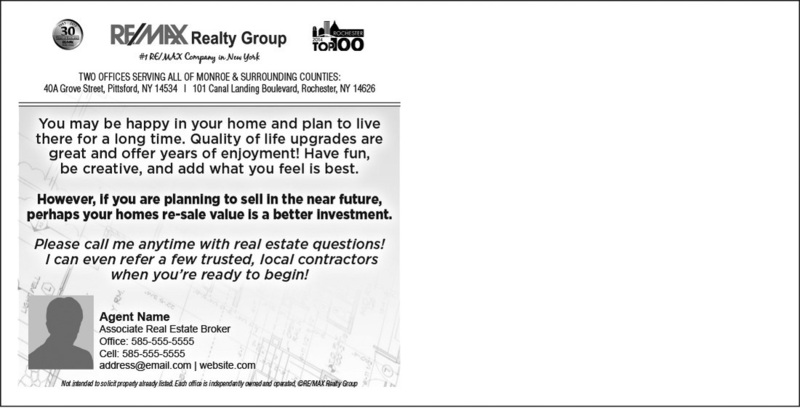 Let your clients know you are proud and appreciate their support with this direct mail postcard showcasing our ranking. 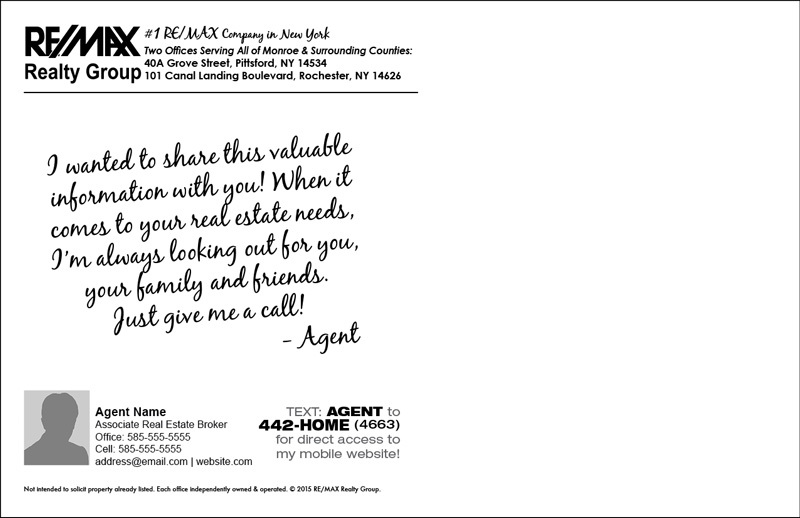 This postcard is .13¢ ea. 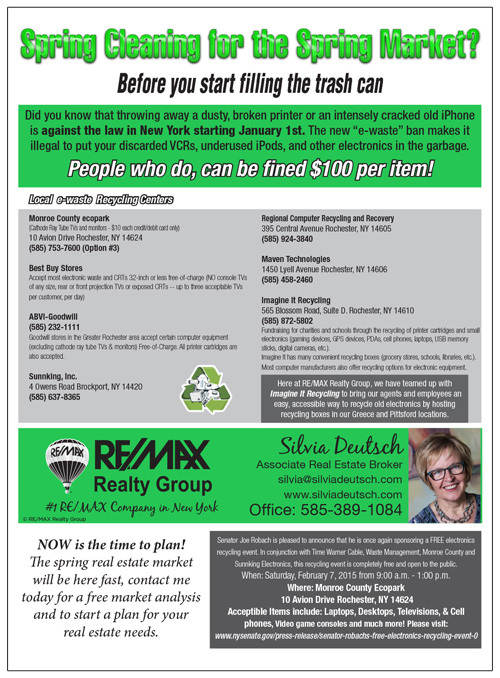 not including postage. 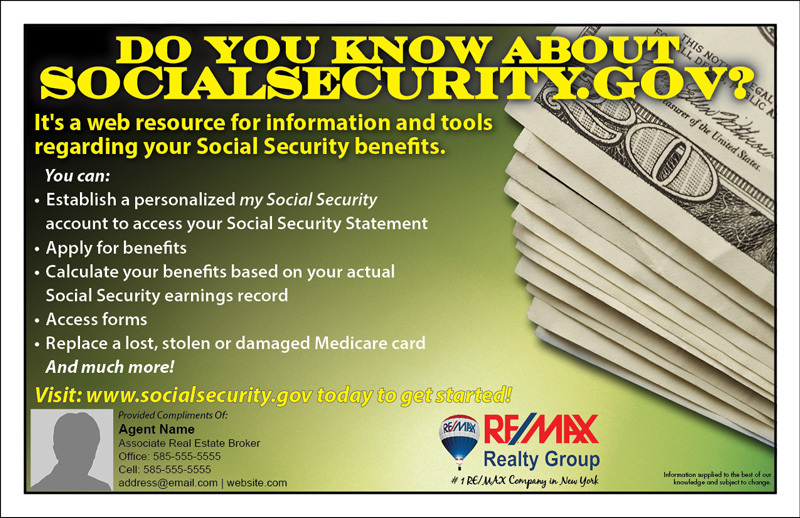 Socialsecurity.gov is a great resource for folks to sign up and review where their Social Security benefits stand. 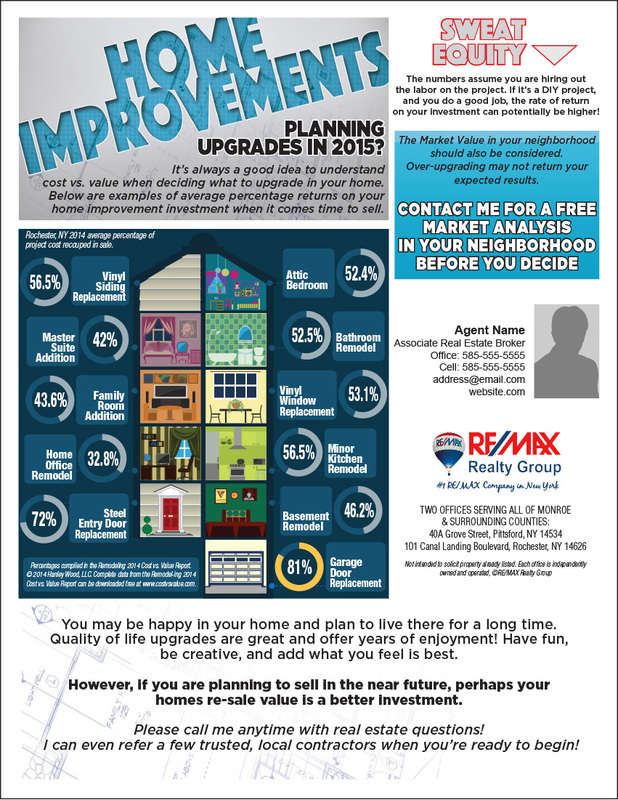 Let your clients know about this helpful website by mailing them this informational postcard. 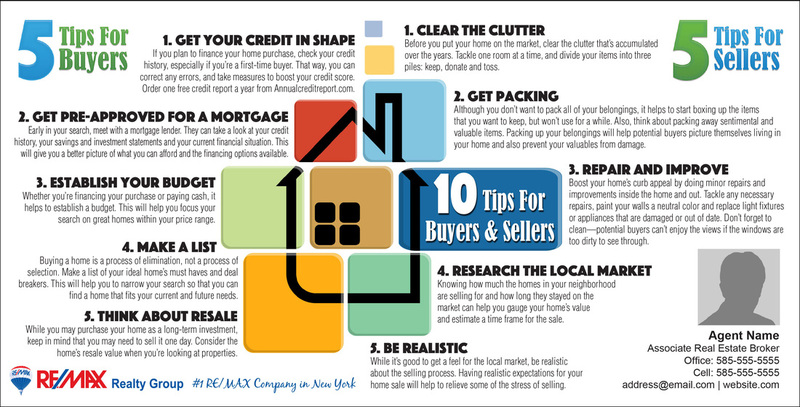 Give your clients a few helpful tips to ensure their home buying and/or selling experience gets off to a great start!